A new version of EulumdatTools 0.14.6.v20160115 was published on January 15 at http://www.fold1.com/eulumdattools/. Added a QuickFix for missing item code in standard version and duplicate item code in sandbox version for EULUMDAT files. You can fill in product code from filename or product name. IES files now have syntax coloring, with illegal characters immediately showing up in RED! 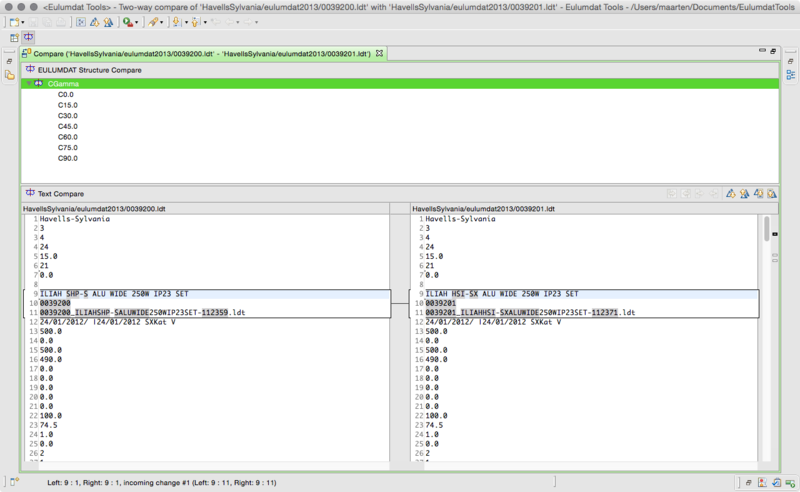 All versions of EulumdatTools are now based on Eclipse 4.5.1 Mars. To upgrade reinstall from the download site listed below. The Mac version now looks like a regular Mac application. Make it possible to retain Testlab and Testdate/Issuedate on conversion of IES to EULUMDAT and vice versa. Based on a suggestion/request by Mikulas Parma. Allow setting of Test Lab name when there is a full license, to be used in conversions. Fixed nasty conversion bug where IES to EULUMDAT conversion for IES files with absolute photometry had wrong DFF factors calculated. 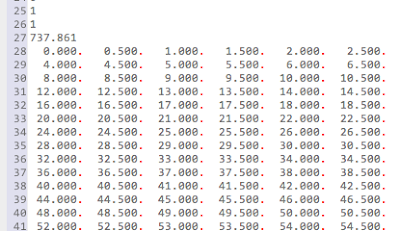 These can be caught and fixed by the Eulumdat validator, but now they are calculated correctly in the first place. 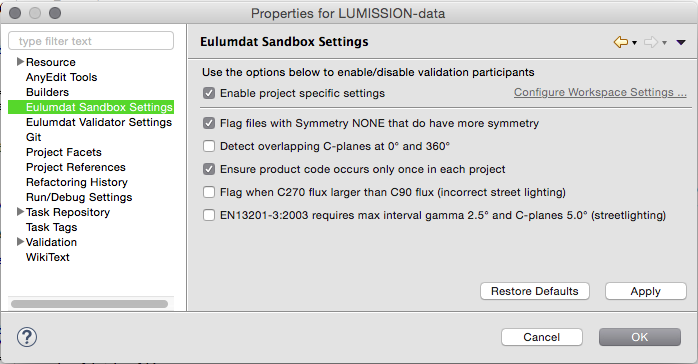 If you have converted IES files to EULUMDAT with absolute photometry in the past and not validated the output, please reconvert your files! NOTE: the same bug affected the online IES to EULUMDAT converter at http://ies2eulumdat.appspot.com, so if you have used that, reconvert also! To allow experimentation with various validators for EULUMDAT files the standard validator was made extensible. It is now easy to create custom validators in a separate plugin. Instructions for installing this feature are below.